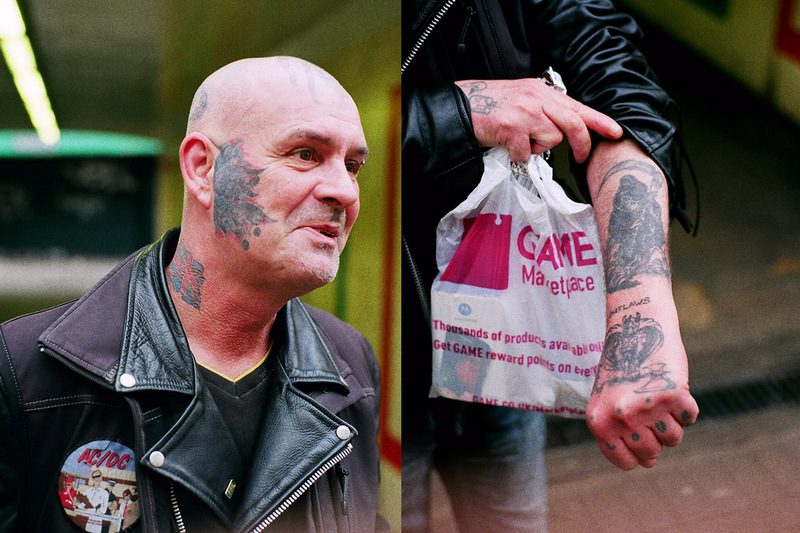 Kieron Cummings, better known as The London Vagabond is a UK based street photographer who takes visceral portraits and photos of urban subcultures and the shots have an added rawness being taken with 35mm film. The images seem voyeuristic; they are up close and personal and often depict evocative women and urban landscapes as well as gritty male subjects who stare us down. Gaze and composition are strong elements in this work. It ís unapologetic and honest, giving us an insight into intimate scenes not normally represented through the increased beautification of media. How do you choose the subjects and locations for your photos? There are two elements to my photography in terms of subjects. 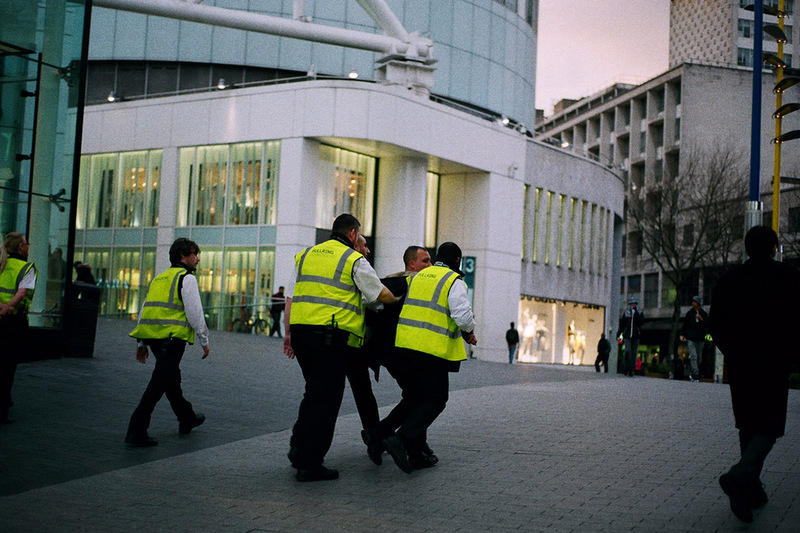 When out shooting street portraits, the location is never something that is pre-empted. It’s a split second decision. I have to work with what I have at that moment. There is definitely a direct link between who I am as a person and the photos that I choose to take. Photographing women is an entirely different thing, I am a lot more fussy with location. I usually do lean back towards the urban environment, not because it’s cool or because it’s the in thing at the moment. Again it’s because its where my interests lie and its what I have always been attracted to all my life. 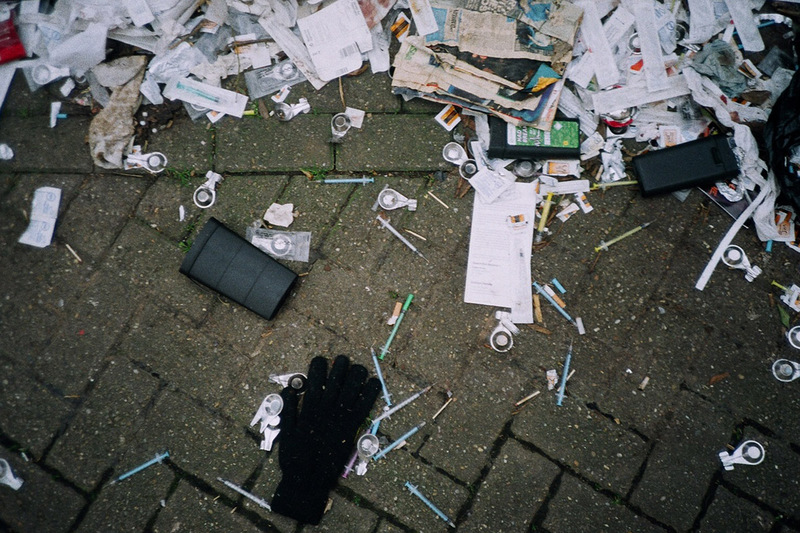 There are deeper reasons to why I choose council estates, it’s not just an aesthetic thing. Gentrification is a dark cloud taking over all major cities in the UK which is affecting a lot of social housing. A lot of the estates I use as backdrops won’t be heard in 5 – 10 years. I also tend to shoot a lot in peoples personal space, you get a little insight into who they are. It’s intimate. They are more comfortable because it’s familiar surroundings and of course you want someone to be completely comfortable when you are working with them. I like to hang out with the women I shoot, I don’t just meet them shoot and say see ya later, I chill have a beer and get to know them on a level. That way its easier to shoot and we completely collaborate in a way that helps portray them as themselves or as the character they want to put across to people. I don’t take it too seriously at all, I like to have fun and make the whole experience enjoyable. Does it feel different photographing a female vs male subject? I find it a much more intimate experience when photographing the women that I do, it’s a really personal thing and it involves a hell of a lot of trust. I honestly feel so privileged when a woman is comfortable around me and is happy to listen to my ideas and roll with them. Some of my ideas can be quite out there, I may not have published certain things yet but I have produced some strange stuff. Has there been anyone you met in your photos that have really stood out or stuck with you? There has been plenty of homeless that I have hung out with for hours on end, or I have built up relationships with. Their stories always end up sticking with me. I think that it’s the people that I haven’t managed to photograph that stick in my mind though. I always dwell on the photo that I didn’t take. The opportunity I missed, the person that said no. You’ve previously described yourself as ‘nomad’ what does this term mean to you? I describe myself as a nomad for a number of reasons. I guess the main reason being I like to travel around as much as possible. Unfortunately, I have been restricted to the UK for a number of different reasons. I can assure you that things are going to change real soon. I feel comfortable pretty much anywhere I go. I’m least comfortable at home when I go to sleep in my own bed. I don’t care if I have no money in my pocket, I don’t always plan where I am staying, as long as I have a sleeping bag I am happy. I just get up and go. I have stayed in squats by randomly asking people in the street if they know of places to stay, abandoned buildings, bushes, parks and a random car once. If anyone has a sofa, floor or garden shed and wants to put me up for a few days then get in contact!